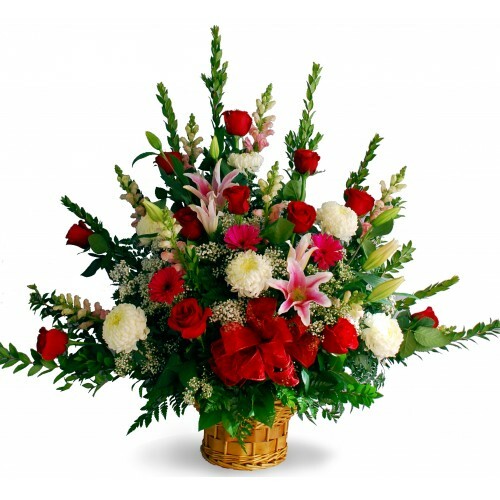 Show her how natural your affection is with our exquisite "Natural Affection" floral arrangement! Listed as one of our best sellers, this floral arrangement captures the virtue of love, all in one basket. Included are one dozen roses in a bed of Lilies, China mums, and more! Accessories included: One basket and one red bow.